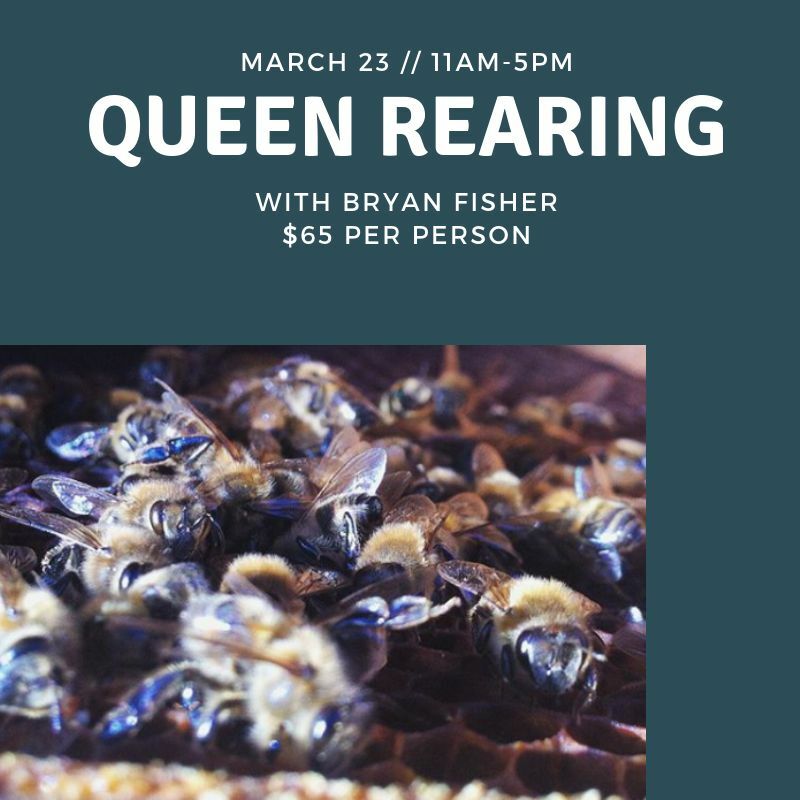 WNC master beekeeper Bryan Fisher will join us this March 23rd for a comprehensive course on queen rearing. He will cover cell building, using cloake boards, mating nucs, and grafting queens. Queen rearing is a versatile skill that all beekeepers* should learn, whether you have one hive in your backyard or make money off of an expansive apiary. Bryan is a fourth generation beekeeper and helped start the Born and Bred Breeding Program. *Recommended for beekeepers who have at least a year of experience.